Bioflex is a fantastic material for Body Piercings, and we have now restocked Bioflex Nose Studs, both hider studs and jewelled 0.8mm and labret studs with tiny 1.5mm jewelled heads. We have just received a delivery of Bioflex Body Jewellery which is fantastic for piercings because it is Biocompatible and flexible making it extremely comfortable to wear in new and old piercings. 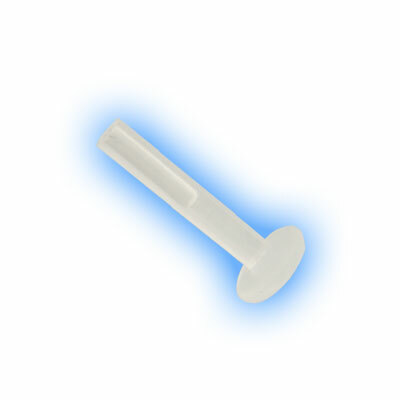 Bioflex is available in clear or Flesh Tone which makes it a fantastic material for hiding piercings when necessary. 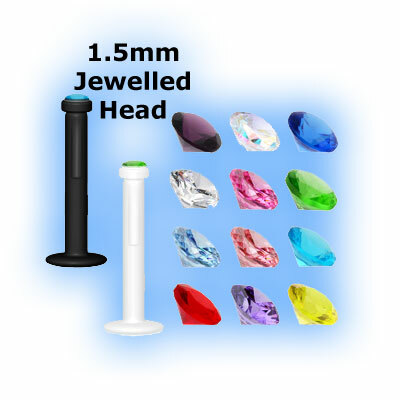 Here are a few of our new and restocked items, the full range of Bioflex Piercing Jewelry that we sell can be viewed by clicking here. Bioflex Internal Labrets are now available in 1mm (18 gauge) in either 6mm or 7mm length, these are fantastic for thinner ear piercings and the attachments will fit them, they are also available with hider ends whiich are great to disguise your piercing when necessary or during medical procedures such as x rays or scans as there is no metal content. These 0.8mm (20 gauge) Bioflex nose retainers are great for hiding Nose Piercings while at school or work. They are available in clear or flsh tone and have a tiny head which is small enough that it won't be noticed but just large enough that the nose stud will sit comfortably in your piercing without slipping through. We also have these studs available in 1mm (18 gauge) here. Bioflex Jewelled Nose studs with a fine curved back which measures 0.8mm (20 guage) with tiny 1.5mm jewels making them very dainty and pretty to wear. 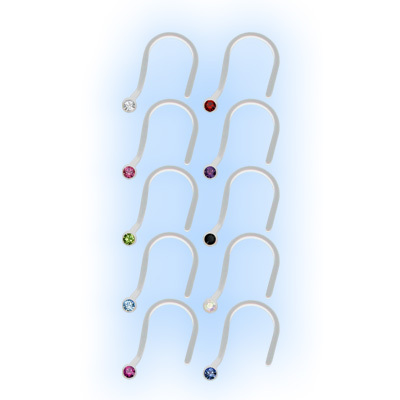 Available in lots of different gem colours set in Clear Bioflex which is very light weight and less problematic in nose piercings. Black or Clear Bioflex Labret studs with tiny 1.5mm jewelled heads in lots of different gem colours. These are now back in stock, they are very popular with a clear gem in clear Bioflex, they look amazing in a Madonna piercing. They are available in 1.2mm (16 gauge) or 1.6mm (14 gauge) and different lengths. 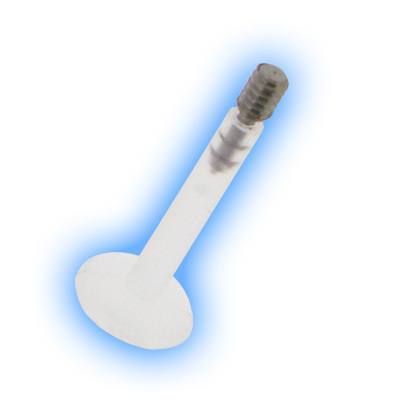 These Labret Adapters (converters) are fantastic for Internal Bioplast or Bioflex Labret Studs, they are made out of Titanium and simply push into any size of Internal Bio Labret. The screw ends are either 1.2mm (16 gauge) or 1.6mm (14 gauge) which means thet you can screw on balls, cones or threaded attachments that you already have onto Bio friendly labrets. If you have a 1.6mm piercing but want a tiny 3mm ball - no problem just buy a 1.2mm adapter and 1.2mm attatchements, alternatively if you have a 1.2mm piercing and want something a little larger, you can get a 1.6mm converter and you can add any 1.6mm screw on attachment to your labret.